Do you struggle to keep your team motivated? Do some team members avoid you - are there some you avoid? Do you wish your folks made more suggestions or took more initiative? 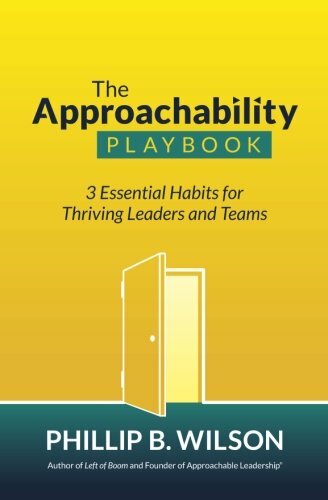 The Approachability Playbook reveals 3 essential habits the best leaders use to build connection and get "above and beyond" performance from their teams. What's more, they're easy to learn. The Playbook is a practical guide full of ready-to-use tools and templates. It is not theory about what could work, or what works when things are going great. Instead, it provides hands-on tools, tested and proven by research and with real-life leaders in organizations ranging from Fortune 50 global manufacturing and retail operations to small entrepreneurial companies.